KANDY: Most Venerable Mahanayake Thera and the Supreme Council of Sangha of Asgiriya Chapter have awarded Public Enterprise and Kandy Development Minister and Leader of the House Lakshman Kiriella with the title “Shshanamamaka Janaprasadani” in appreciation of his services to the nation and religion. Sri Sannasa of the honorary title was presented to minister Lakshman Kiriella by the Most Venerable Mahanayaka of Asgiriya Warakagoda Sri Gnanaratna Thera on Saturday (20) at 1.00 p.m. at the historic Uposathagaraya of Asgiriya Vihare. The honorary title will be awarded in the presence of the members of the Asgiriya Supreme Council of the Sangha (Karaka Maha Sangha Sabha). President Maithripala Sirisena is expected to be present at the important event. Minister Kirella has been in Sri Lanka politics for about four decades, commencing as a council member of the Kandy Municipal Council in 1979. 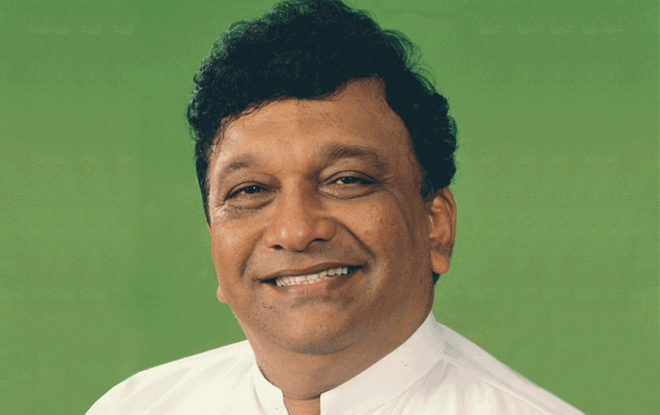 Subsequently Kiriella entered Parliamentary politics and served as an MP and later as minister. Kiriella headed a number of ministries.